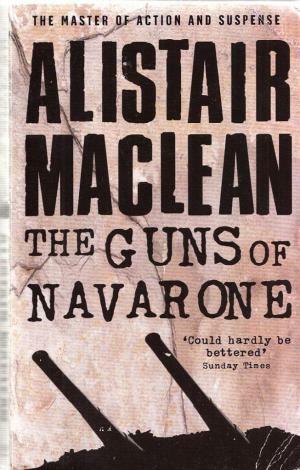 The Guns of Navarone is an adventure / thriller novel written by the popular World War II novelist, Alistair MacLean. While MacLean has disappointed me in the past with some of his works such as The Caravan to Vaccares and The Last Frontier, the work often touted as his best would not be something that would miss my attention for too long and thus, I thought I would give the author one more chance. The story takes place with the Second World War in the backdrop; about a near suicide mission to rescue 1,200 British soldiers stranded in the Greek island in the Aegean Sea under German control. Apart from the Germans, the problem for the British is the German fortress in Navarone with highly accurate mortars capable of sinking any ship within its vicinity and in order to rescue the soldiers, they would have to first silence the Guns of Navarone. The British assemble a team led by Captain Keith Mallory, a mountaineer from New Zealand supported by Corporal Miller, an American who is an expert with explosives and Andrea, a brutish Greek soldier (ironic that none of them are British). For the mission to succeed, they have to get past the German patrols in the Aegean Sea, then scale the cliff under unfavourable weather conditions (which is deemed impossible) to get into the island of Navarone and finally, neutralise the German troops and destroy the guns of Navarone and considering the circumstances, this was indeed a near impossible mission. I enjoyed the fact that the author chose to base the book on a real incident (refer Battle of Leros) which makes such novels all the more interesting. The author had built his characters well, each of the three main protagonists from varied backgrounds with differing skills; Mallory for the mountaineering and overall responsibility for the team; Miller who also acted as the paramedic for the team and Andrea was the expert in combat. I also liked the fact the author didn’t digress throughout the book and in fact, this is the first Alistair MacLean book which I have read where there is no needless romantic sub-plot. Being a thriller, there were also twists and turns to look forward; with traitors and double agents appearing during the course of the book and I liked it that the three main protagonists were quite intelligent and made through tough situations owing to good planning and clever thinking rather than mere brawn. Apart from all these, the author also described the location and the setting really well that visualisation was very easy and of course, I could effortlessly read the book owing to his lucid writing. However, I have got to say that while the protagonists were highly intelligent and capable, I felt their opposition was really weak making the impossible circumstances more possible for the three main protagonists. Of course, suspension of logic is quintessential to enjoying a MacLean novel as in every novel of his, the protagonist has a near impossible mission and this book is no different and for someone who wants a more rational plot, they would perhaps be disappointed by the book. As always, I have never been impressed by MacLean’s dialogues and feel that they are too direct and this book is no exception to it. On the whole, the book had a highly gripping and engaging plot and it is a thoroughly enjoyable experience for those who enjoy reading World War thrillers and I for one am glad that I was willing to give Alistair MacLean one more chance. I would award the book a rating of seven on ten after consideration of whatever I have stated above. 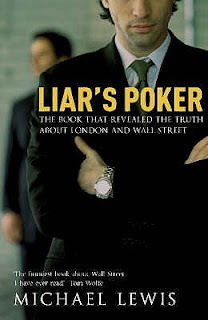 Liar’s Poker is a book on investment banking and bond markets written by the American banker, Michael Lewis based on his experiences at Salomon Brothers, a leading merchant bank in the United States during the 80s. The book could be split into three parts; where the first part would deal with the author’s experience as a trainee in the bank; followed by elaborating on how the mortgage trading division grew in the bank and the internal tussles among the top management and finally, the author’s own experience at the firm, starting as a geek fresh till the point of becoming a fairly successful banker. I liked the way in which the author had structured the book, starting with his interview and from thereon, his cynicism was visible throughout the book. I liked the way in which he was expressed the cynicism too, often with sarcastic jibes, funny anecdotes and yes, certain remarks on the practices of the people in the trade which would be regarded as unforgivably indiscreet by his employers which is perhaps the reason why he had to quit the bank in order to write the book. I also felt he gave a good insight as to how the bond trading flourished in the United States during the 80s and how Salomon Brothers exploited the fears of the investors. This book is in no way a tell all book on Wall Street corruption but the author has given enough content for the readers to understand why the corruption takes place in Wall Street. However, I have got to say that I am least interested in knowing about the ego clashes amongst the top management of Salomon Brothers and a third of the book was spent on that and those were possibly the dullest pages of the books. While I understand that the author tries to make it as friendly as possible to even those who are not literate in finance, the feedback I have received from some of my friends who are not from the field of finance is that they don’t understand his jargons which was something I felt too; that the book is difficult for a layman to appreciate but then, to answer the question as to whether the author has satisfied his own community; I would speak for that; the answer is not entirely. The book could have gone into deeper aspects of bond trading, interest rate fluctuations, etc. instead, the author throughout the book; starts off with a technical aspect but eventually digresses into how things are done at Salomon which would not be entirely relevant. To conclude, I would say that this is a good book for someone who knows about the jargons in the field and could be thoroughly enjoyed had the second part of the book not been there at all for I also felt that what the author said there was not specific to investment banks, but any corporates. I would rate the book a six on ten.